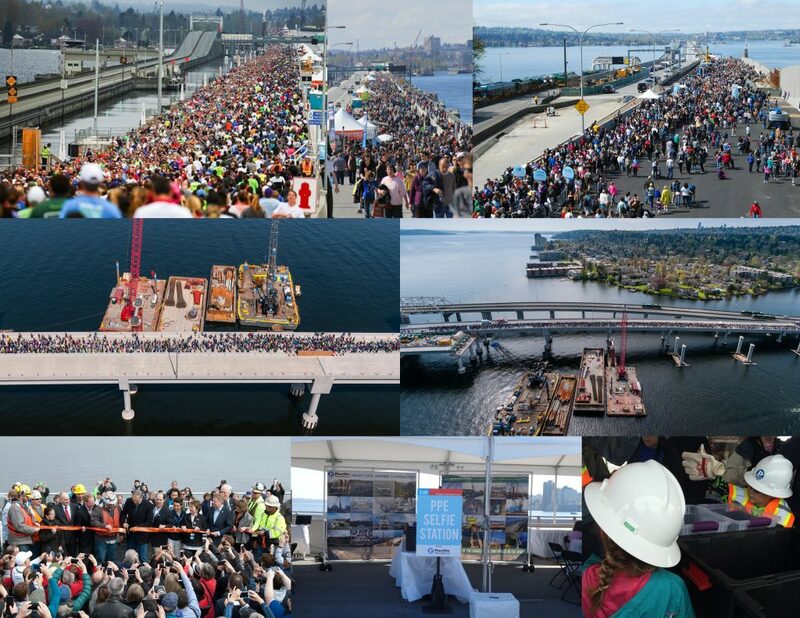 On Apr-2, PPM participated in the 520 Go Long event as a community sponsor to commemorate the Grand Opening of the SR 520 Floating Bridge; the world’s longest floating bridge at 7,710-ft. 30,000 curious individuals ventured out onto the bridge for the event. PPM hosted a Personal Protective Equipment (PPE) Selfie Station where bridge-goers could adorn themselves with the gear of the trade and snap a photo of themselves (or ask someone from PPM to do it for them). The station was a huge hit and attracted a steady crowd. Throughout the day, kids and adults excitedly put on vests, hard hats, gloves, and safety glasses. It was a great experience, and a great show of support for the community. Thank you to all the crews working tirelessly every day on this project and all the rest to provide major infrastructure improvements to all the communities we serve. Proud to be a member of such a great organization.